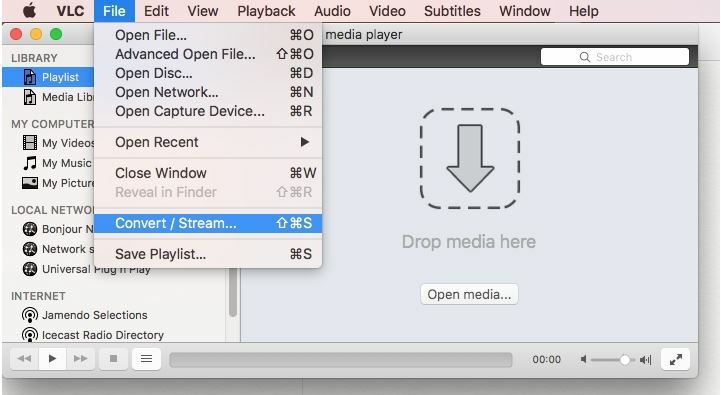 MOV is a multimedia container format that is mainly used for video playback on Mac devices. Playing MOV on players and platforms that are not covered under the Apple umbrella might lead to incompatibility issues. The most straightforward solution to this problem is converting your MOV files to a more popular format and what can be a better choice than MP4. MOV to MP4 conversion makes your file accessible to almost all types of players and devices. You can convert MOV to MP4 online, using desktop software, and other tools. Go through the following parts of the article to know about the best tools to convert MOV to MP4. 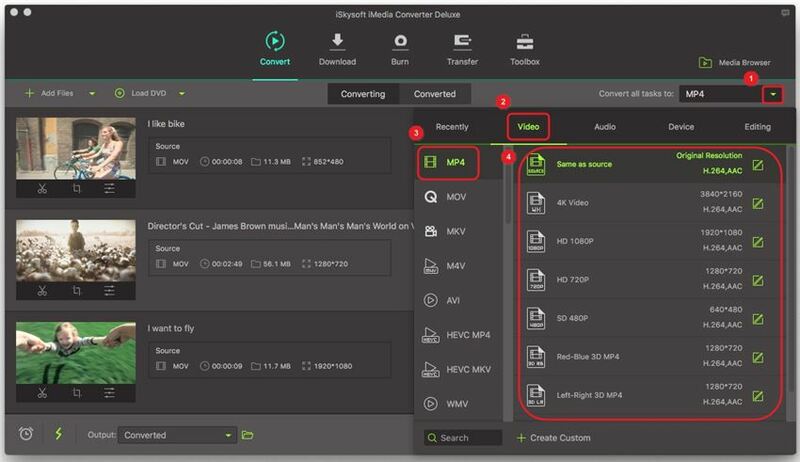 There is no dearth of options when it comes to video converter MOV to MP4 tools, but to ensure lossless quality process, professional software must be used. iSkysoft iMedia Converter Deluxe is one such versatile program that helps to change MOV to MP4 in high quality and with advanced features. The software can be installed on a Windows or Mac system and facilitates conversion between an array of formats including MOV to MP4. Multiple files can be added to the program for batch processing. With complete editing suite, the software support features like trim, cut, crop, adding special effects and others. The files to be converted can be added from a PC or directly from a device. With super fast conversion speed, simple interface, and lossless quality process, iSkysoft iMedia Converter Deluxe is the best MOV to MP4 video converter in its category. Convert MOV to MP4, AVI, MKV and 150+ common video/audio format in high quality. 90X faster conversion speed than any conventional converters in the market. Edit and personalize your MOV videos before conversion, including crop/merge video, add subtile/watermark, etc. Download online videos from YouTube, VEVO, Vimeo, Facebook, Dailymotion and over 1,000 popular video streaming sites. Powerful toolbox consists of GIF maker, screen recorder, video compressor, CD burner and fix video metadata. Compatible with Mac OS X 10.14 Mojave, 10.13, 10.12, 10.11, 10.10, 10.9, 10.8, 10.7, 10.6, Windows 10/8/7/XP/Vista. Here we provide both video and step-by-step tutorial for you to conduct MOV to MP4 conversion. You can watch the video below first to get a rough idea on how iSkysoft MOV to MP4 converter converts MOV to MP4, then follow the instructions to change MOV to MP4 formats step by step. Open the iSkysoft iMedia Converter Deluxe software on your PC. Select the Convert tab and click on to browse and add local MOV files. You can even drag and drop the files to the interface. To add the files from the device directly open the drop-down menu at +Add Files and choose the connected device. To personalize your videos, the software comes with a complete editing suite. Under the added video thumbnail, the icons for editing are present that can be used to trim, crop, add watermark, add special effects, and perform other functions. 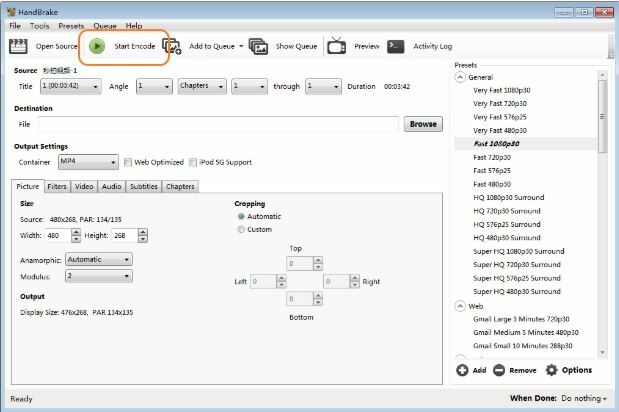 This is an optional step and can be skipped if there is no need for any video editing. On the top-right corner of the software interface open drop-down menu at Convert all tasks to: option. From the Video tab, select MP4 as the desired format. You can keep the resolution as the source file or can change it from the given options. 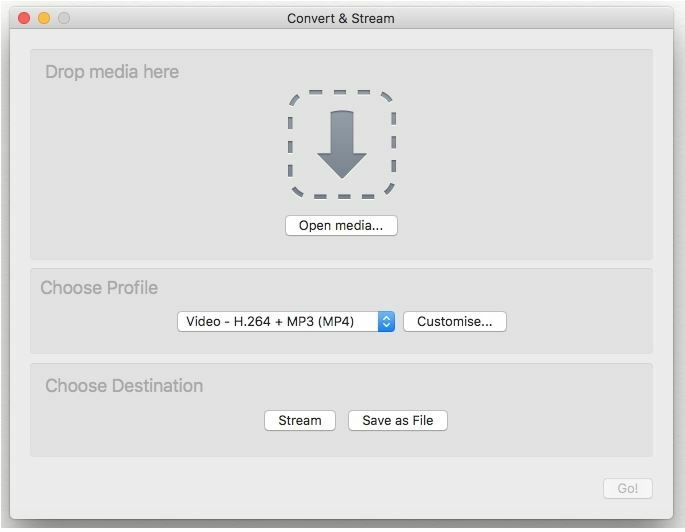 As the final step, click on Convert All button to start processing and converting your MOV files to MP4 format. The converted file on your PC gets saved at the Output tab location. You can also change this location as needed. On the software interface, the files can be managed from the Converted tab. Online converters also work as decent tools to convert your MOV files to MP4 without installing any additional programs on your PC. These software work from your browser interface and need no registration. Listed below are the top 3 MOV to MP4 converter free online tools. 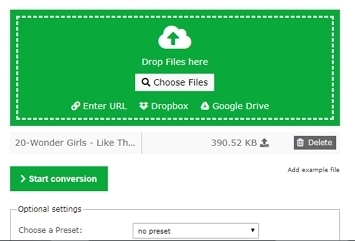 Using Media.io you can convert MOV to MP4 free online in a hassle-free manner. The program works straight from your browser and allows adding local files. In addition to MP4, an array of video and audio formats is also supported by the program for the conversion process. Two files at a time can be added to the interface for the process. Once the files are uploaded and converted you can download them to your PC or save it directly to your Dropbox account. The program works on Windows and Mac browser. Step 1: Launch https://www.media.io/ on your PC browser. Click on +Add your files button to browse and import local MOV files to the interface. Step 2: At Convert to: tab, choose MP4 as the target format from the Video list. The processed files can be downloaded from the interface of the program to your PC or Dropbox. This MOV to MP4 free online tool works from the browser of your PC and allows adding MOV files from the system, URL, Dropbox, and Google Drive. Once the file is added to the interface, the program supports an array of editing features like cutting video, rotating video, flipping video, disabling audio track and others. File parameters can also be changed like screen size, bit rate, codec, frame rate, and others. The program also has an option to save the conversion settings for future processes. Free to use online tool. Support basic video editing features. The program adding files from multiple sources. Internet dependency for functioning of the software. Limited formats support as compared to professional tools. Using this online converter MOV to MP4 tool you can get your files converted in a hassle-free manner and in decent quality. The program is free to use and allows you to add MOV files from your PC, online source, Google Drive, and Dropbox. If needed, size, bit rate, frame rate, and video aspect of the file can be changed using the program. The processed file can be downloaded on your PC from the interface. Allows adding files from online sources, cloud storage and PC. Limited editing features as compared to professional tools. A number of free software to convert MOV to MP4 and other files is present as well. These programs can be downloaded and installed for free on your PC and thereafter can be used for conversion without any internet dependency. Know more in detail about the best MOV to MP4 freeware tools. 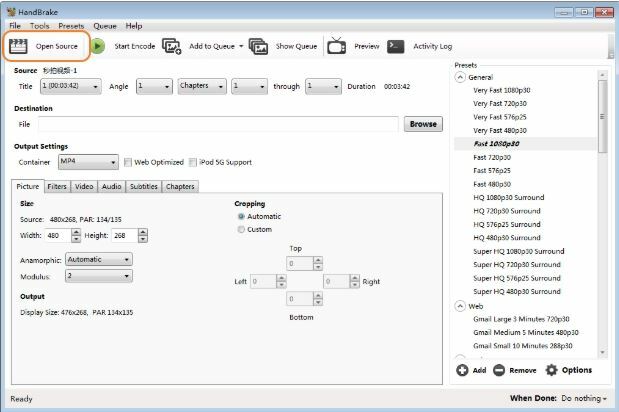 Handbrake is a free and open-source tool that facilitates converting your file formats in high quality. This multiplatform program works on your Windows, Mac, and Linux systems and facilitates adding almost all types of media files on your PC as well as from your disc. The program comes with an array of customizing features where you can select the file quality depending on the size required and make the video look clear by removing the black bars around. The program is safe to download and install and supports MP4 and MKV formats as output files. Step 3: Under the Output Settings tab, choose MP4 as the container format. From the Video tab, you can edit the file parameters if needed. Step 4: Click on Start Encode button from the top menu bar to start processing and converting your MOV files to MP4 format. QuickTime is the native video player of Apple that is capable of video playback, editing, recording and also conversion. Using the Pro version of the program you can convert your MOV files to MP4 in decent quality. The player has a simple interface and the process of conversion I fast. 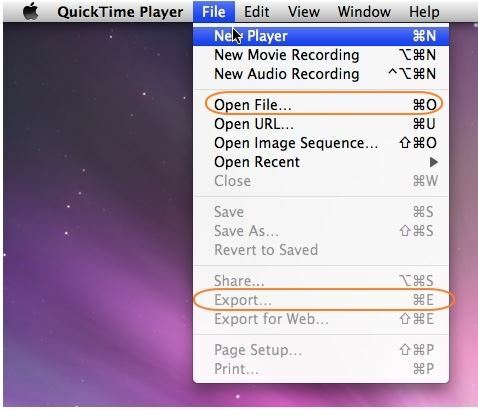 Step 1: On your Mac PC, download and install the Pro version of QuickTime player. Step 3: As the file is added to the program, the Export function on the File menu gets activated. 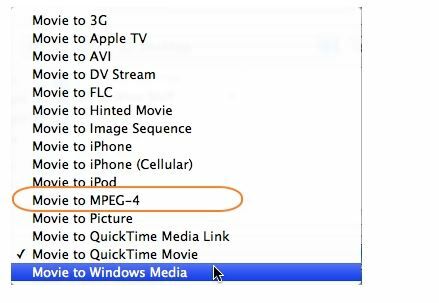 Click on the function and from the Export Panel menu, choose the option of Movie to MPEG-4. VLC is a popularly used media player that is free, portable, and open-source. Being cross-platform app, the player is available for download on your desktop OS as well as mobile platforms. Thus the program also works as a decent tool to convert MOV to MP4 android. In addition to video playback in all popular formats, VLC also supports additional features like video conversion to popular formats, video compression, and others. With a simple interface and high-quality video conversion, the player is used by a large number of people. 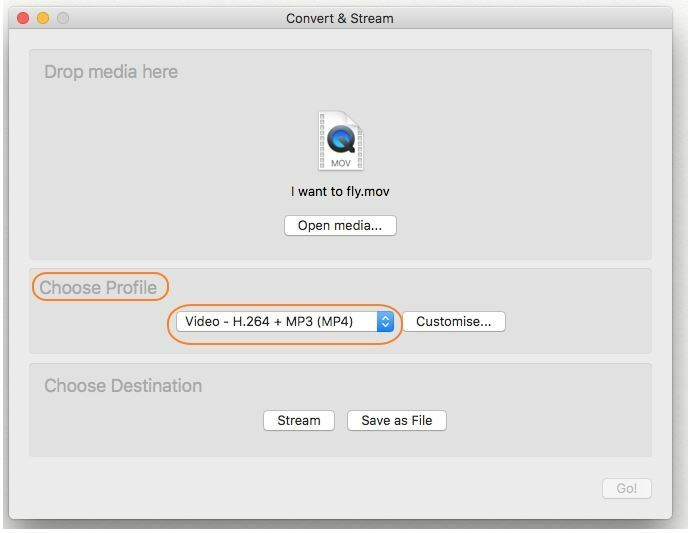 Step 2: A new Convert & Stream window will open where you need to add the local MOV files for conversion. Step 3: Once the file is added, select Video-H.264+MP3 (MP4) as the target format from the Choose Profile tab. Step 4: Next, click on Save as File button and then select the desired name for the converted file and its destination on PC from the pop-up window. 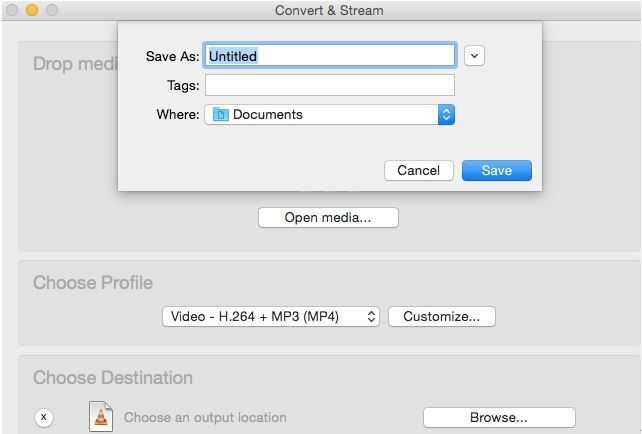 Click on the Save button to confirm and start converting your MOV files to MP4 format. Above parts of the article discuss three different ways on how to convert MOV to MP4. Online converters are free and simple solutions but are internet dependent, have limited functions and support limited file size. Freeware software, on the other hand, are good alternatives to online converters, but they too have limited functions, limited format support, and basic conversion quality. Considering the limitations of online tools and freeware programs, iSkysoft iMedia Converter Deluxe is the best conversion program to use. Using this professional tool, you do not have to compromise on the quality of the file during the process. Almost all popularly used formats are supported by the software for all types of conversion needs. Additionally, the program comes packed with a wide range of features like editing tools, video download, video recording, disc burning, batch processing, and others. So install iSkysoft iMedia Converter Deluxe and enjoy converting your files at super fast speed and in best quality.